Professor Andrew Coates gained a BSc in Physics from UMIST in 1978, and MSc (1979) and D.Phil. (1982) in plasma physics from Oxford University. He has been at UCL’s Mullard Space Science Laboratory (MSSL) since 1982, with temporary positions at Max Planck Institute for Solar System Physics (Germany), University of Delaware (USA) and BBC World service (media fellowship). He is Deputy Director (solar system) at UCL-MSSL. 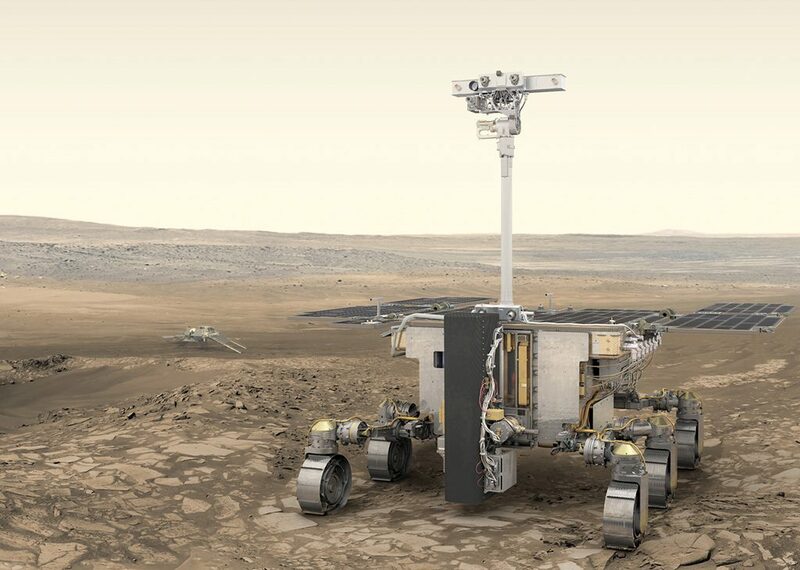 Space involvements include the ExoMars 2020 rover where he leads the PanCam team, Cassini, leading the electron spectrometer team, Venus Express, Mars Express and Giotto. Scientific interests include the solar wind interaction with planets and comets, and space instrumentation. Mars is one of our closest targets in the search for life beyond Earth, with other possibilities being Europa at Jupiter and Enceladus and Saturn. Mars has changed significantly in the 4.6 billion years since its formation. About 3.8 billion years ago, Mars had significant volcanism, a magnetic field, water on the surface and a thick atmosphere – at a time when life was starting on its closest planetary neighbour, the Earth. Mars now is cold and dry, and has a thin carbon dioxide-rich atmosphere, with a harsh surface environment unprotected by a global magnetic field. Using results from recent Mars missions, including NASA’s current Curiosity rover, we will look at the difference between Mars 3.8 billion years ago and now, and the prospects for life there. We discuss current and future missions to Mars, and in particular ESA’s ExoMars 2020 rover. This will drill up to 2m under the harsh Martian surface for the first time, to search for signs of past or even present life.